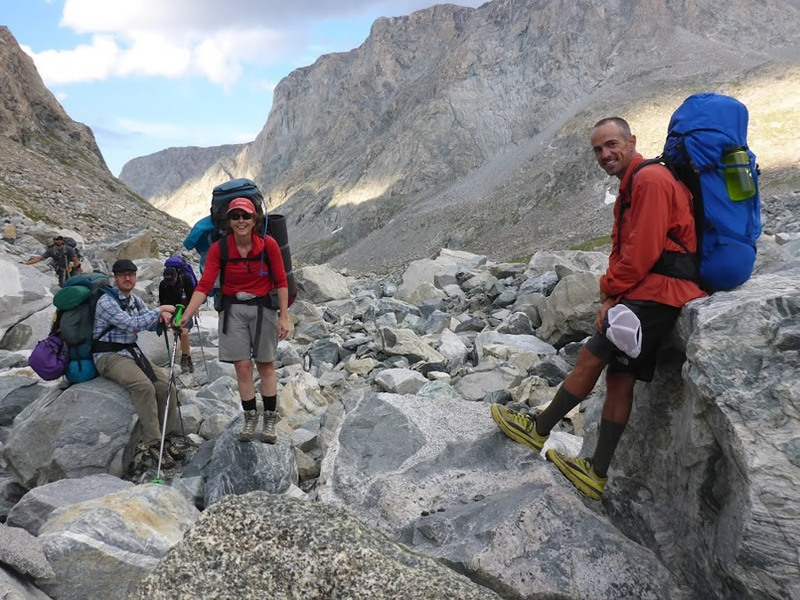 Jeremy Nielsen (left), a CWC film instructor, joins Jacki Klancher (center), assistant professor of Environmental Health at CWC, and Darran Wells (right), head of the CWC Outdoor Education program, on a glacier in Wyoming's Wind River Range. Or more accurately, Central Wyoming College (CWC) in the city of Riverton (pop. 10,953), wants you to get a degree in geospatial information science and technology (GIST) from CWC so you can put your geospatial skills to work in Wyoming. The school wants you so much, it is offering free tuition through a state program to qualified Wyoming residents, and scholarships to nonresidents, if they earn a credential, a certificate, or an associate of applied science (AAS) degree in GIST from CWC. In exchange, the students must work in-state, usually in temporary, full-time paid positions during the summer or in part-time jobs during the school year, to help meet Wyoming's need for GIST-trained technicians. Why is CWC willing to make such a generous offer to students who want to study GIS, GPS, remote sensing, and other geospatial technologies? "Statistics from the US Department of Labor identified geospatial information technology as a rapidly growing field, and virtually all natural-resource jobs in Wyoming require it," said Jacki Klancher, facilitator for CWC's GIST program. "There are at least six jobs posted in the state right now that demand GIS as part of the employees' skill set, and the need for these skills in virtually every job sector is only growing. So the challenge was, how do we entice more students to study GIST at our college?" CWC students work on a project that will involve the use of ground penetrating radar, GPS, and Esri ArcGIS. They are on the Dinwoody Glacier in the Wind River Range. The answer: scholarships through CWC and the Pre-hire Economic Development Grant from Wyoming Department of Workforce Services, which provides in-state students with free tuition in exchange for working on GIS projects within Wyoming. Klancher successfully applied for the grant last year. Out-of-state students willing to commit to working in Wyoming once they have adequate GIST skills are also eligible to receive additional funding from the state of Wyoming to support their GIST studies. The money the students receive would cover the in-state equivalent of their tuition, which is $500 per course. To meet the need for skilled, local GIS technicians and professionals, Klancher developed three distinct programs: a 16-credit credential, a 30-credit certificate, and a 62-credit AAS degree in GIST. 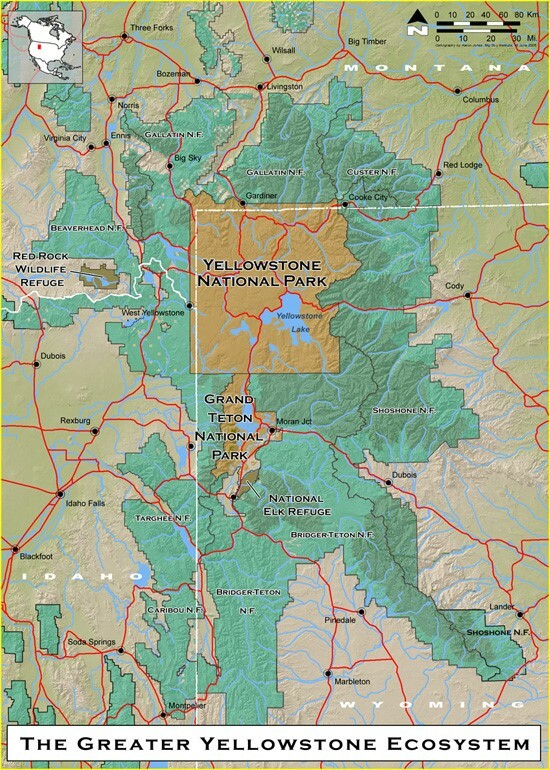 Wyoming is home to Yellowstone National Park, Grand Teton National Park, and other government-managed areas. Government agencies need employees with GIS skills to help manage these lands. The credential and certificate programs can be completed in one year, while the AAS degree takes two years. Because the state of Wyoming pays the tuition, students generally work—at least for a short period of time—during or after they finish the GIST program. The paid jobs are with the state and can be full time or seasonal, depending on the nature of the work. The college offers a broad range of GIST courses including classes in Esri ArcGIS, GPS, cartography, and remote sensing. Graduation requires either a capstone project or related work experience. Klancher is actively encouraging prospective students to apply to the GIST program at CWC and would like to have a new crew of about 12 students per year. Six students have already registered for the GIS course offered in the fall. "We also have four other academic programs that are designed with a GIST credential embedded within them," Klancher said. "These include earth and environmental science; environment, health and safety; outdoor education; and archaeology." Chelsea Cheney of Wyoming took advantage of the GIS courses at CWC and is happy she did. She earned her Associate of Science (AS) degree in earth and environmental science from CWC in 2014. She is now working on her bachelor's degree in anthropology and archaeology at the University of Wyoming. "I plan to keep GIS as part of my skill set," said Cheney. "I was among the first handful of students to try out the newly created GIST program at CWC, and I think that the program can only improve and expand as GIS continues to be applied in an increasing number of scientific and civic fields." Morgan Robins (left), a GIST/archaeology student, Todd Guenther (center), a CWC archaeology faculty member, and GIST/archaeology student Starla Ramirez (right), conduct archaeological field work. Students from the CWC archaeology program use ArcGIS to prepare maps for the US Bureau of Land Management, which funds their summer field work. David DiBiase, director of education at Esri, is impressed by the program Klancher and CWC created. "This is a unique, tuition-free opportunity for students to gain experience and earn credentials that lead to rewarding career pathways," he said. "Klancher and Central Wyoming College have built an extraordinary program that addresses an important need." The need for GIS expertise is big in Wyoming, due in large part to the importance of land management and all of its related responsibilities. Wyoming is the tenth-largest state in the United States, with approximately 100,000 square miles of land, more than half of which are owned and managed by either federal or state agencies. 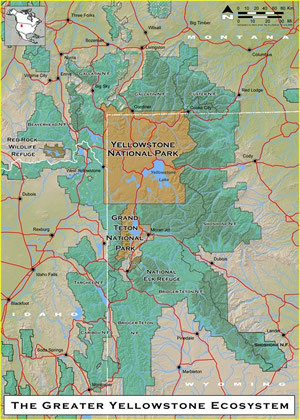 Wyoming is home to Yellowstone National Park, Grand Teton National Park, Bighorn National Forest, and Shoshone National Forest. That means students who love the great outdoors can combine their interest in GIS and other geospatial technologies with pursuits such as hiking, biking, and mountaineering. Students working on their AAS degree get to collect data using GPS, remote sensing, and Esri apps, such as Collector for ArcGIS, while hiking through rugged, beautiful areas such as the high alpine of the Wind River Range and Grand Teton National Park. The city of Riverton, home of CWC, sits on the Big Wind River in Central Wyoming, and is within easy driving distance of many of the national parks and forests. Students work in concert with Sinks Canyon State Park to create a geodatabase in Esri's ArcPad and then use Trimble Juno devices to mark the position and health of shrubs planted after a summer wildfire. 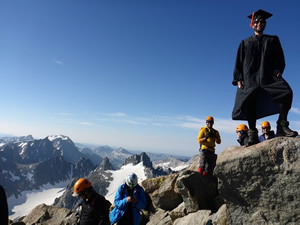 Students who are earning a GIST degree can include wilderness travel and mountaineering courses as part of their education. Those courses can involve up to two weeks of camping and doing fieldwork in the Greater Yellowstone Ecosystem. Backcountry travel skills are valued by many of Wyoming's employers, so those courses are included as part of the two-year GIST program for interested students. Shorter courses—from two to five days in length—emphasize recreational and professional applications of GPS use. These courses are taught at Sinks Canyon Center, about 30 miles southwest of the CWC main campus in Riverton. 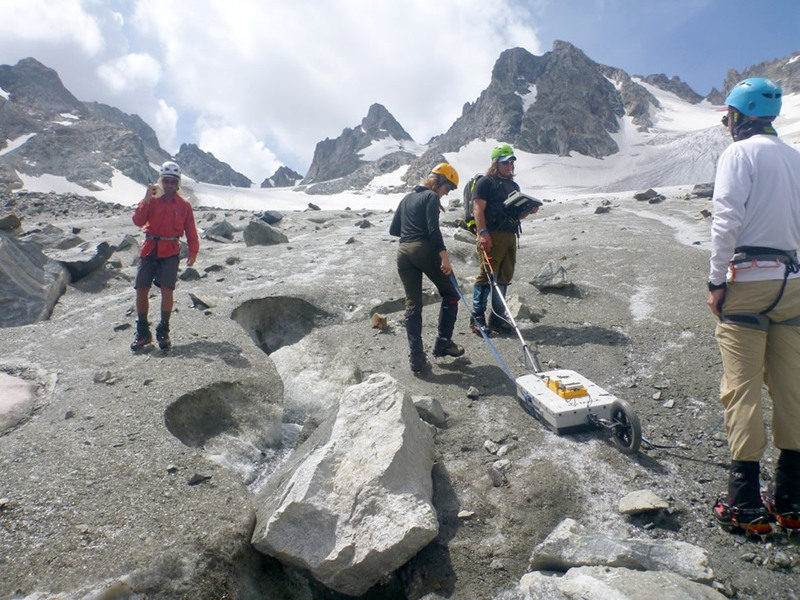 Students involved in undergraduate research use Collector for ArcGIS and ArcPad to collect data documenting the disappearing alpine glaciers in the Wind River Range. This data will be incorporated into ArcGIS and Esri Story Map apps. One major project the students will work on this year is related to climate change. The wilderness-based undergraduate research focuses on assessing the ecological and hydrologic consequences of the rapid glacial ice recession of one of Wyoming's glaciers situated at the base of the state's highest point—Gannett Peak, about 80 miles south-southwest of Riverton. Students integrate field data into ArcGIS, map that data, and assess the changes that have been made over years. 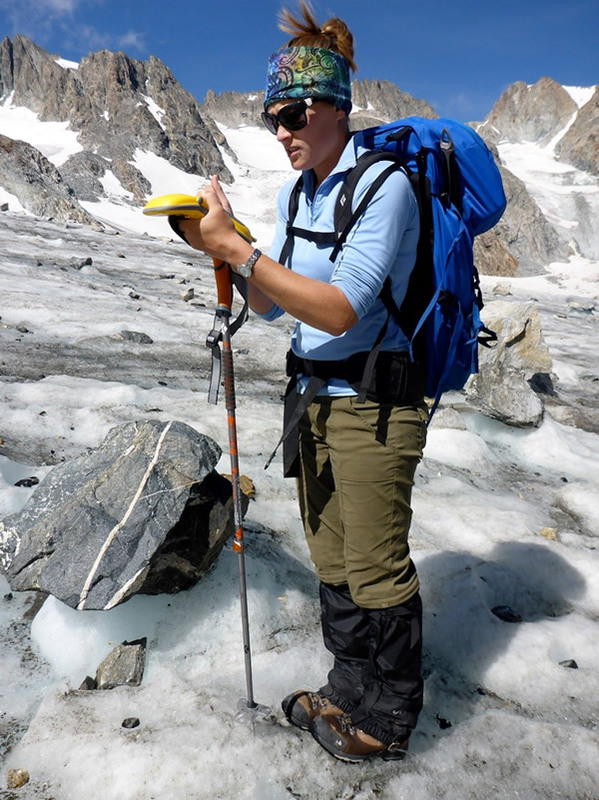 GIST student Chelsea Cheney collects elevation data for use by the University of North Dakota for some of the university's research into glacial recession. In August 2015, students spent 12 days in the mountains of the northern Wind River Range and hiked approximately 50 miles. 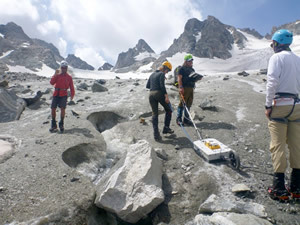 One team worked on a glacier. This team will combine data collection with GPS and subsurface ground penetrating radar imagery with online satellite imagery to create maps of the glacier. These maps will help document yearly reductions in ice mass. The results of these studies will be of profound interest to the landowners in Wyoming's foothills and basins who depend on surface water from glacial ice melt. A second team of CWC archaeology students will use GPS and ArcGIS to collect and present data documenting evidence of prehistoric land use and how humans have used the alpine environment over time. 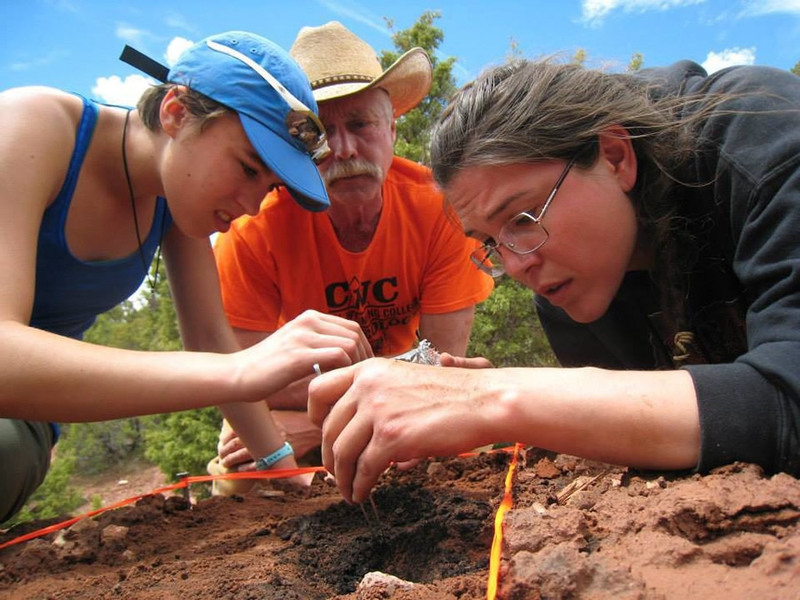 In the past, the archaeology students have used ArcGIS to do work for the US Bureau of Land Management (BLM), identifying, recording, and mapping archaeological sites throughout the state. Students also work with state land managers and serve the community where possible. 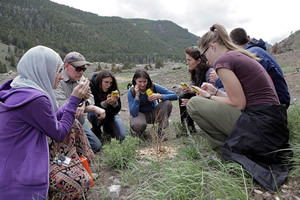 For example, in 2013, students collaborated with staff at Sinks Canyon State Park to identify the locations of new seedlings planted after a recent wildfire. The project's goal was to document the survival rate of the trees over time and determine how those seedlings help to stabilize soil. "Because students are involved in many projects that we do outside, it is important for them to be in good health and enthusiastic about fieldwork," said Klancher. "We will continue to seek opportunities for students to apply their GIST skills to solving contemporary environmental challenges and tracking environmental changes over time." 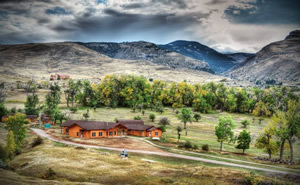 Students in the GIST program who are attracted to rustic accommodations can live in cabins at the Sinks Canyon Center near CWC. Sinks Canyon Center is only ten minutes from world renowned rock climbing and the picturesque Sinks Canyon State Park. Many students currently working toward their GIST credentials, certificates, or AAS degree, were first attracted to the Riverton area because of outdoor recreational opportunities and learned about the GIST program after they settled in for school or work. Austin Chase and Lane Tomme, who are from out of state, originally enrolled in CWC's Outdoor Education program and added classes to obtain GIST certificates after taking one of the courses. Wyoming state funding paid the in-state equivalent of their tuition. Both students received additional scholarships to help absorb the rest of their GIST tuition. Work has been easy to find. Tomme is creating maps for the Fremont County Weed and Pest Department, and Chase recently completed a summer internship with the National Oceanic and Atmospheric Administration (NOAA), doing maintenance on GPS devices for stream and weather gauges. "These students aptly demonstrate the need for individuals skilled in GIST who are doing their part to apply their state-funded training to the Wyoming job market," Klancher said. Does your college's graduation ceremony look like this? CWC graduate Anthony Dube takes in the view of the mountains from Gannett Peak. Dot Newton is a resident of Lander, Wyoming, and works for a local nonprofit organization. After seeing a GIST demonstration, she realized how geospatial technology could help her organization make greater contributions to public policy initiatives. Newton started working on her GIST credential at CWC in January 2015. "Jacki Klancher and the staff at CWC are putting together an incredible program for students interested in this technology," said Newton. To apply for any component of the GIST program at Central Wyoming College, contact Jacki Klancher, assistant professor, Environmental Health, Central Wyoming College, Riverton, Wyoming, 82520. Email Klancher at jklanche@cwc.edu or call (307) 855-2205.